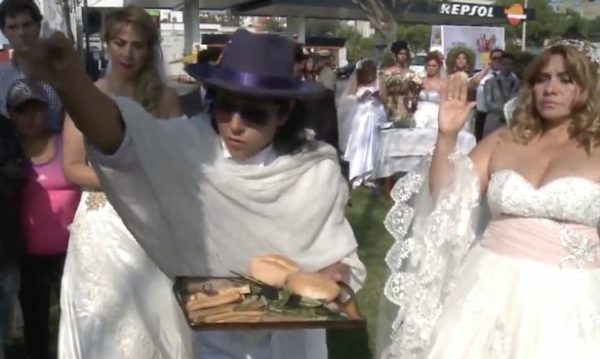 What could be the excuse or reason for this bizarre wedding ceremony or ritual or whatever one should call it. 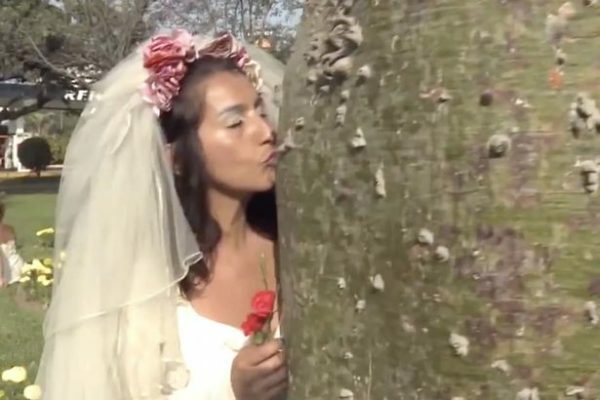 A group of young women have been filmed taking part in a bizarre mass wedding when they put on white wedding dresses and tied the knot to a tree. 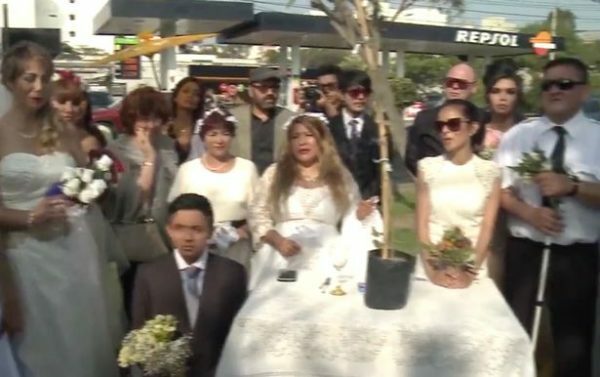 Nature activists held the unusual ceremony in Peruvian capital Lima, where leaves were used instead of confetti and brides kissed the ‘groom’ on the trunk after taking their vows. They all pledged to look after the trees until they were parted by death. 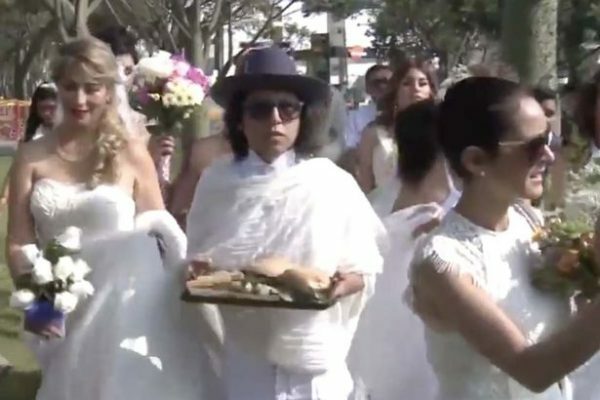 The wedding was organised by Peruvian artist and activist Richard Torres, who is famed internationally for his pro-tree performances. He acted as a priest, while the brides were local actresses he had persuaded to perform for the occasion. The women, mostly wearing white wedding dresses and carrying white bouquets of flowers, had to promise to look after the trees until parted by death. The aim of the event was to remind Peruvians of the value of trees and the need to look after them.